Here are highlights from the Chinese Restaurant Awards at the River Rock Show Theatre in Richmond, BC on Wednesday March 2nd, 2016. During the gala reception, we also had samplings of four of the 2016 Diners’ Choice Awards and their signature dishes. I found my traditional Asian Fruit birthday cake replacement with Saint Germain’s MJ Cake. The MJ Cake is nicely light and fluffy, with Triple Vanilla Bean Mascarpone Cream, Almond Cake and Crispy White Chocolate Wafer. The White Chocolate Strawberry Cake is a slightly more dense, with White Chocolate Mousse, Strawberry Compote and Chiffon Sponge Cake. It was personally a very heartwarming experience for me for me to watch the many chefs, owners, staff and stakeholders share their triumph onstage during the awards ceremony. Because as my dad was a former cook at many restaurants in Quebec and BC, I remember sneaking a peak in the kitchen seeing how hard he toiled over the many dishes for restaurant diners. Though he always claimed he wasn’t the best cook, people swung by the kitchen to say hi and thanks. 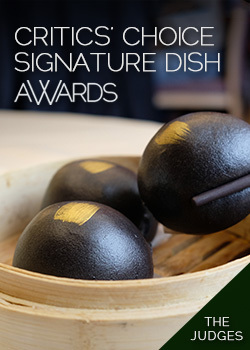 Featured tastings and spirits during the awards – Mission Hill Wines, Heineken Beer, Hennessy Cognac, Memory Corner’s Taiwanese Braised Pork Rice, Peninsula Seafood Restaurant’s Slow Roasted Pork and Mashed Potatoes, Saint Germain Bakery Cakes, and Dynasty Seafood Restaurant’s BC Geoduck. Acknowledgement and appreciation in all forms, small or large goes a long way for a job well done on the journey to excellence.